After a nice and warm late November and early December, there’s not a lot of snow on the ground in Calgary. But the weather forecast is calling for some of the white stuff to fall this week – which makes for more opportunity to enjoy time outside with some fun winter projects – but it also means taking care to make sure your sidewalks and pathways are clear for visitors. If someone slips and falls on your property due to a hazard you could have taken care of, you are liable for any damage or injuries incurred. Keep the holidays safe and happy with professional commercial and residential snow removal in Calgary from the experts at Mirage Landscaping. It’s not too late to sign up for our services! 1. How fast will you be here after the snow falls? We pay careful attention to the weather forecasts and are always prepared to hit the streets running as soon as we can. We have the manpower, vehicle fleet and snow removal equipment to respond to all our customers quickly after a major snowfall. 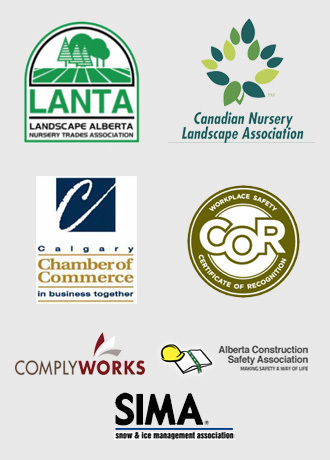 We are cognizant of City of Calgary bylaws, which dictate that snow must be removed within 24 hours of the last flake falling, and make it our promise to be there well before the snow causes any problems on your commercial or residential property. As a matter of fact, most of the time you won’t even see us, as we’ll have come and gone before you rise in the morning. 2. Where will you put my snow? Calgary bylaws do not allow for snow to be piled on public roadways. We will always pile your snow on your property in a place that is out of the way and that provides proper drainage when the weather begins to warm up in the spring. For commercial properties, we’ll have a chat with you beforehand to see where you think the best place is to put what we have picked up, and will keep your pile neat and clean. For residential properties, we will have the same conversation. Often homeowners prefer to have snow piled on gardens for extra insulation for your plantings. Or we can even try to make a big pile for the kids to play in. Just let us know! This depends on you and your preference. We can figure out a pre-established number of service visits, and if we happen to go over that number due to excess snowfall we can simply bill for the additional calls. Or we can bill for a total amount for complete seasonal service. We are flexible, and are happy to discuss all the options. 4. Do you sand and salt? Mirage’s snow removal services include sanding and salting the pesky spots that just always seem to ice up, whether due to uneven pavement, freezing and thawing cycles, or high traffic. We’ll chip away what we can, and then apply an appropriate amount of salt so that your property remains ice-free without causing undue harm to the environment. 5. What kind of snow removal equipment do you have? We have it all! As we serve a number of commercial businesses, we own the complete gamut of snow removal equipment. We have trucks with snowplows for clearing large areas, smaller walk-behind powerful snow brushes for sidewalks and trickier, narrower areas, and snow blowers to finish off the job to perfection. And, of course, nothing beats the trusty old shovel for residential properties. Mirage Landscaping is fully licensed, bonded and insured. With three generations of snow removal experience under our belts we have the comprehensive coverage we know we need to protect our customers. If you want to avoid the cold and save your labour, you can always count on the snow removal professionals at Mirage Landscaping. Our snow removal crews work around the clock to keep your home or business clear and fully compliant with all Calgary bylaws. As an added benefit, you’ll also deter thieves by having our team remove your snow. You’ll be surprised to learn just how affordable our snow removal services are. 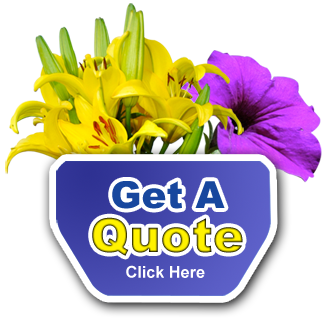 Get started today by contacting us for a fast, free custom price quote.